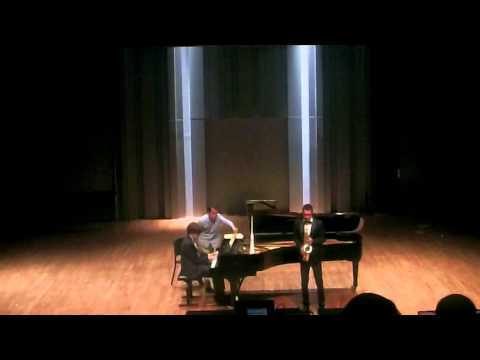 Nikita Zimin – is one of the brightest representatives of the Russian classical school of saxophone. Graduate of the Russian Gnesin’s Academy of Music (class of Russian People’s Artist, Professor Margarita Shaposhnikova) and Paris National Conservatoire (class of Professor Claude Delangle) . - VI International Adolphe Sax Saxophone Competition (Dinant, Belgium, 2014). In addition to the victory, Nikita won all three special prizes of this contest and became the owner of a unique saxophone of French company “Selmer”. Nikita Zimin is winner of more than 20 national and international competitions. Three-time winner of the “Delphic Games” (2006 – Astana, Kazakhstan, 2008 – Novosibirsk, 2009 – Samara). - V international Adolphe Sax competition (Dinant, Belgium) – 2nd prize and the special prize for the best interpretation of the compulsory work in the final. - International Competition INTERMUSICA (Birkfeld, Austria, 2013) – 2nd prize. Nikita has been chosen as a scholar of Mstislav Rostropovich Foundation, «Russian performing art» Foundation, the President of the Russian Federation, the French Government and the french Foundation Meyer. From 2013 Nikita – is official representative and artist of company «Selmer-Paris». 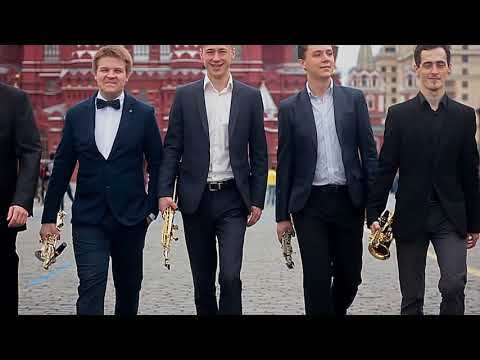 From 2014 Nikita is the President of The All-Russian Association of Saxophonists. Nikita Zimin gives recitals, both in Russia and abroad (Switzerland, France, Germany, Spain, USA, Korea, Azerbaijan, Kazakhstan), and gives master classes. Nikita works with such orchestra as the Volgograd Symphony Orchestra, the State Symphony Orchestra of St. Petersburg, Udmurt State Symphony Orchestra, Belgorod Philarmonic Orchestra, the Mecklenburg State Choir, Northwest German Philharmonic, Lebanese Philharmonic Orchestra (conductor – Gianluca Marciano), MusicAeterna orchestra (conductor – Teodor Currentzis) and others. Nikita Zimin’s repertoir includes the composition of various styles and epoch – Bach, Teleman, Donizetti, Paganini, Dubois, Rivchun, Glazunov, Rakhmaninov, Creston, Iber, Milhaud, Piazzola, Denisov, Shostakovich, Hachaturyan, Tomasi, Debussy, Lauba, Tanada, Gershwin, Franc, Shmitt, Larsson, Swerts, Soge.